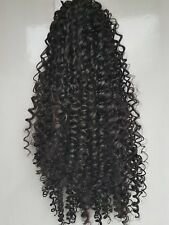 Gorgeous Extra long 24" curly Afro bouncy drawstring ponytail hair extension. Gorgeous light weight drawstring and comb connection ponytail. Colour black #1b. 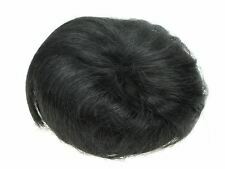 Black Fake Artificial Imitation Synthetic Hair Bun with Drawstring Hair Accessories UK. Loosely made artificial hair bun. Drawstring pulls the bun tight over the hair. Stunning dark brown "beehive bun" hair extension. SHORT WIGS SHOULDER LENGTH WIGS LONG WIGS LACE FRONT WIGS 3/4 WIGS BLONDE WIGS BROWN WIGS BLACK WIGS RED / GINGER WIGS SILVER GREY/ LILAC WIGS 1 PIECE CLIP IN HAIR EXTENSION 7 PIECE CLIP IN HAIR EXTENSION BUNS, UPDO'S & HAIR SCRUNCHIES. You can transform your look in seconds, creating an instant updo for any occassion. SHORT WIGS SHOULDER LENGTH WIGS LONG WIGS LACE FRONT WIGS 3/4 WIGS BLONDE WIGS BROWN WIGS BLACK WIGS RED / GINGER WIGS SILVER GREY/ LILAC WIGS 1 PIECE CLIP IN HAIR EXTENSION 7 PIECE CLIP IN HAIR EXTENSION BUNS, UPDO'S & HAIR SCRUNCHIES. Quality As Real Human Hair,UK 1 ST CLASS POST, 12-26"
Brown and Blonde Mix Scrunchie ponytail Hairpiece Never worn. Elasticated and adjustable ties. Dispatched with Royal Mail 2nd Class. Stranded Raquel Long Ponytail Hairpiece Long curly pure blonde #613 A long ponytail with claw clip and drawstring fit, can be worn with both fittings or just drawstring . A super curly long piece from a top brand.